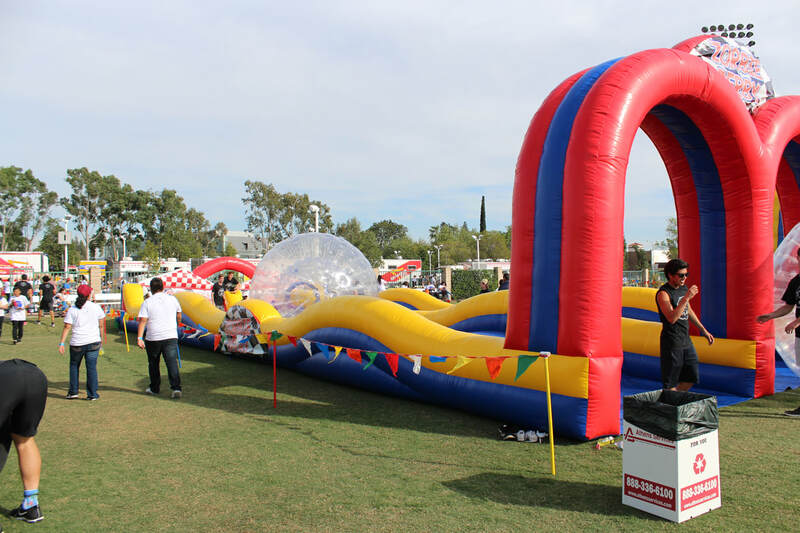 Zorbie Derby Inflatable - Interact Event Productions - Corporate Event Planning at Wholesale Prices! 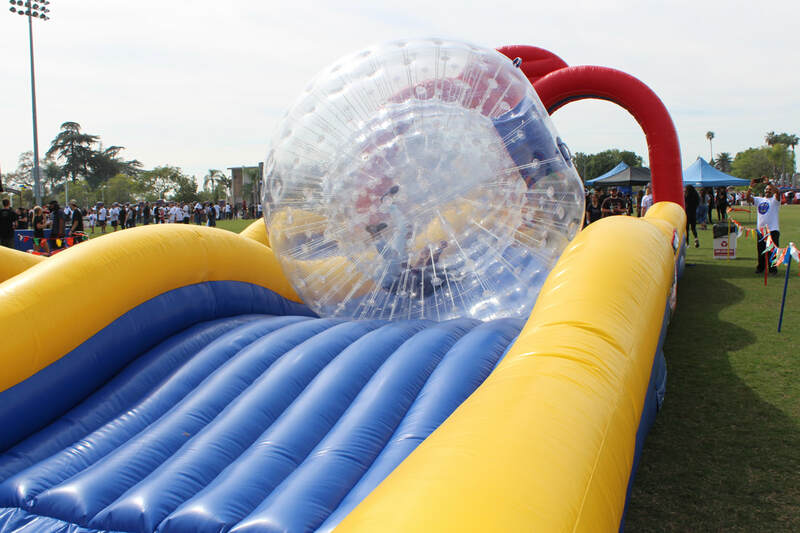 The Zorbie Derby Inflatable Zorb Track! 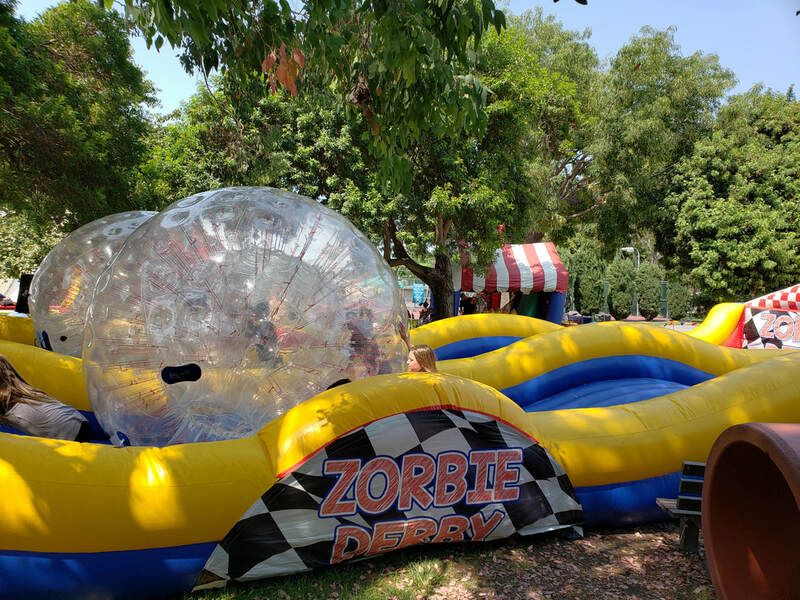 Zorbie Derby is the inflatable game where partipants race the giant zorbs down the track. 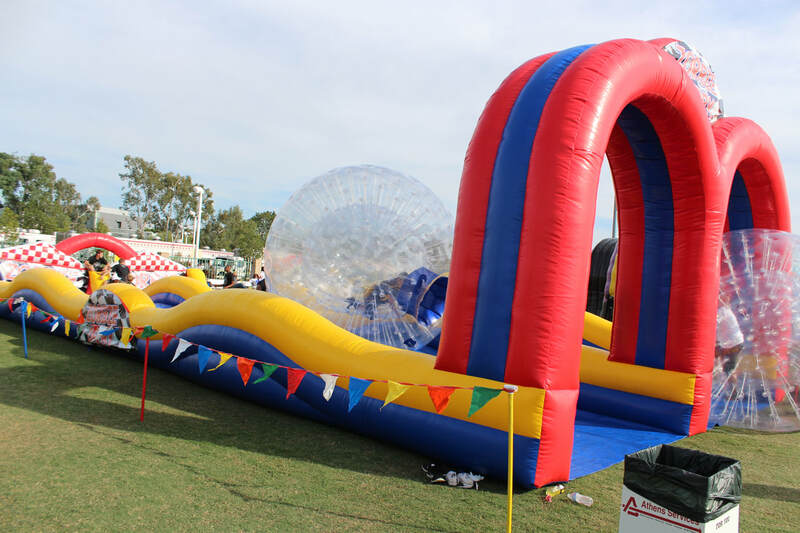 We use the Zorbie Derby at school fun fairs, company picnics, corporate events and community gatherings of all kinds. 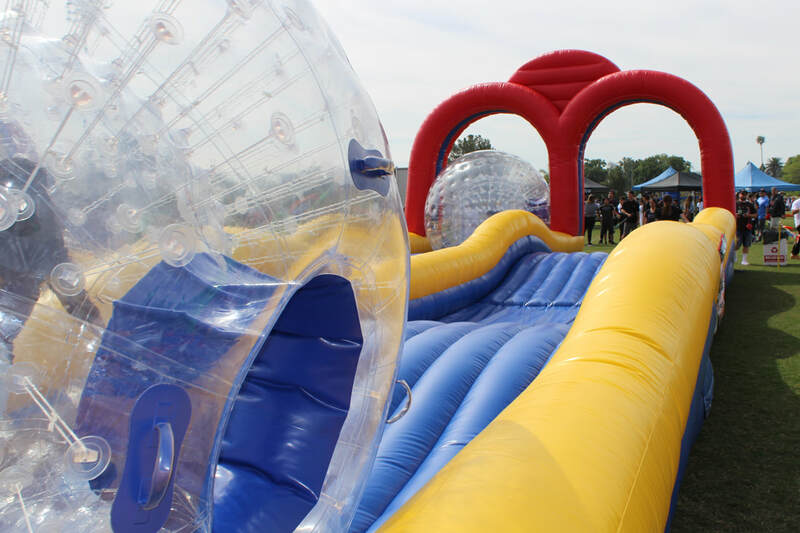 The Zorbie Derby raises the level of entertainment for carnivals and fundraisers because it really draws a crowd with the giant zorbs racing down the bright giant inflatable track. Watch This Short Video of the Zorbie Derby! Great Indoors and Outdoors Event Entertainment! 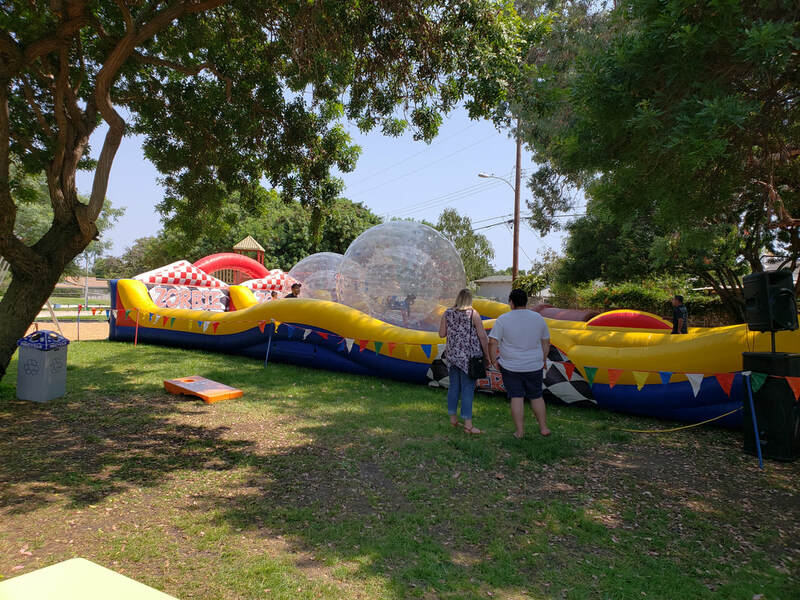 The Zorbie Derby is approx 65L x 23W x 13H and it can be set up indoors or outdoors making it a favorite for all kinds of corporate events.